Every once in a while, we come across an indomitable spirit. The spirit of a woman that’s as unique as the world she creates around her. Many such women have graced our planet; not to mention charmed us with their zeal and elegance. Zoya admires the spirit of those who dare to think different. Zoya celebrates the woman of substance. Actor, Fashion designer, Model, Television presenter, Mandira Bedi is truly a woman of substance – woman extraordinaire. An epitome of myriad facets, she’s dazzled the world with many a feat. 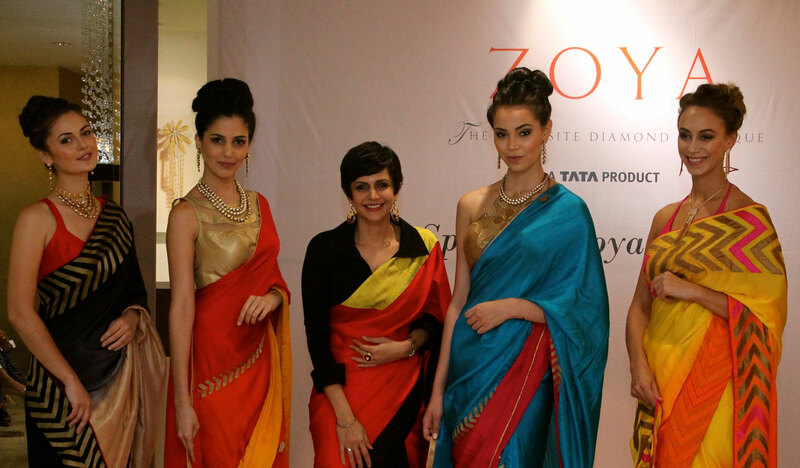 Zoya takes pride in honouring the spirit of Mandira Bedi and salutes her grit to conquer many worlds. Presenting jewels woven in gold, diamonds and stones- inspired by the multiple facets of the universe. Jewels that are extraordinarily crafted to perfection. Jewels that celebrate the spirit of someone truly special. The Zoya woman.